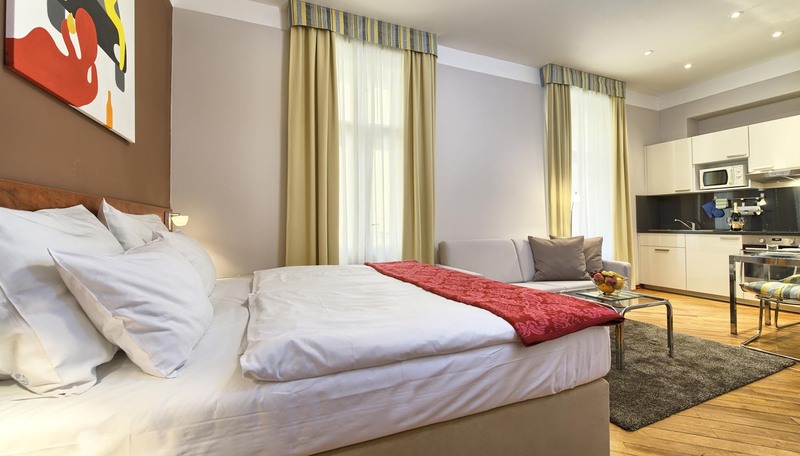 After a warm welcome from our 24/7 staff you will enjoy thoughtfully designed and fully furnished apartment ideal for a business traveler, a couple and thanks to the on demand extra beds even smaller families. In a living area you will love a large king-sized bed perfect for a relaxing night’s sleep, comfy sofa and of course satellite flat screen TV to enjoy your favorite shows and programs. Very nice small kitchenette is fully fitted and ready for all your culinary specials. 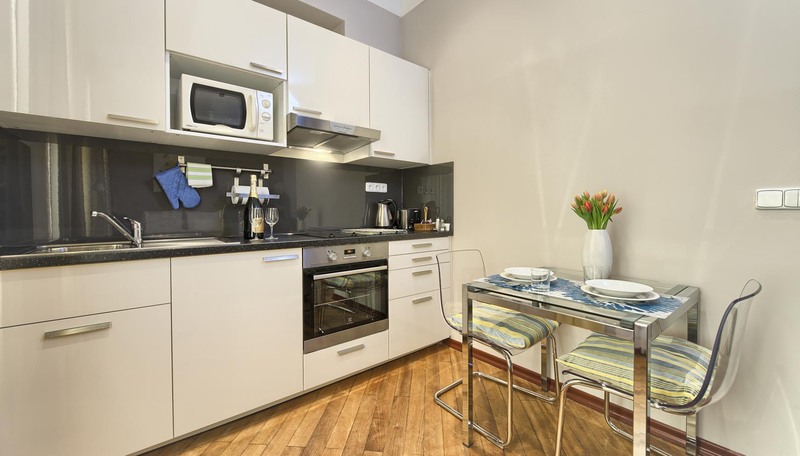 It boasts a washing machine, oven, refrigerator and other modern appliances. 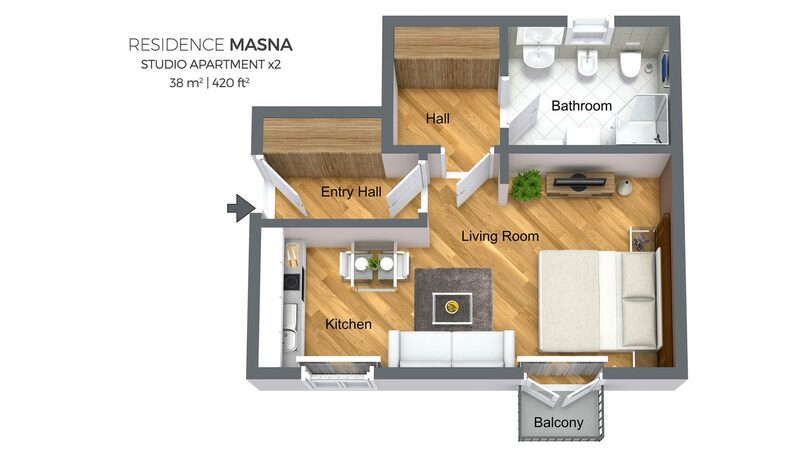 In this studio flat you can also benefit from a small balcony. 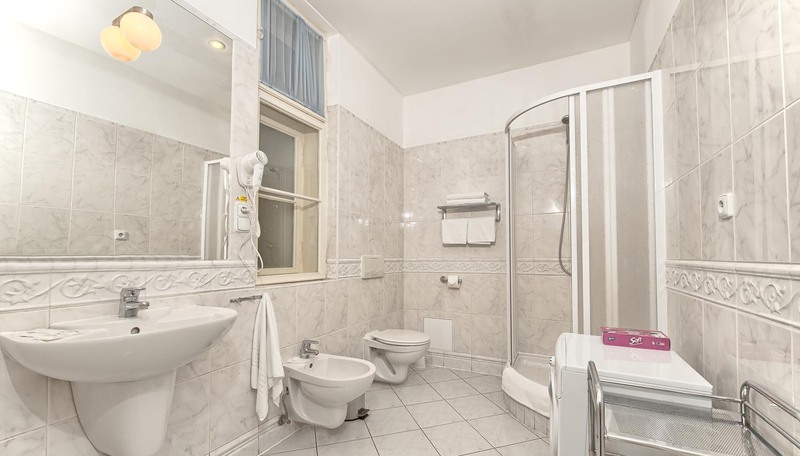 In a shiny and modern bathroom with a shower you will find a washing machine ready to use. For a small charge we can also provide on-demand maid services customized according to your needs. 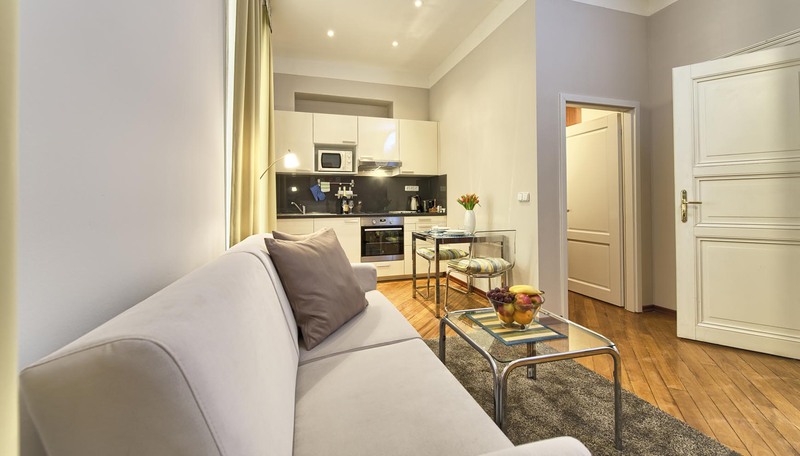 In the apartment there is enough storage room for all your luggage and clothing. 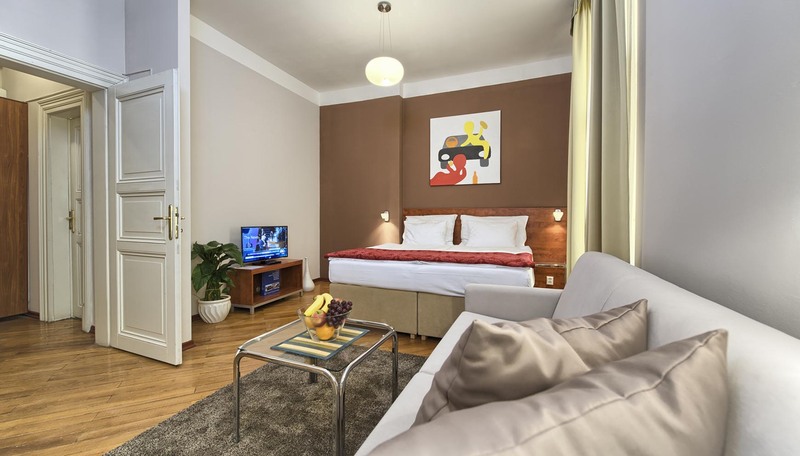 This apartment is uniquely situated for those planning to enjoy an extended stay in Prague and even for short term stays because of proximity to the most major Prague sights. 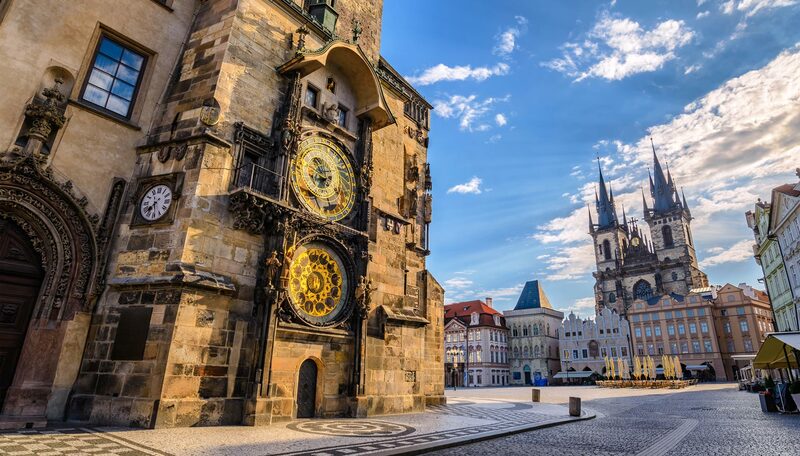 You’ll have immediate access to the world-famous Old Town Square which is just 2 blocks away. 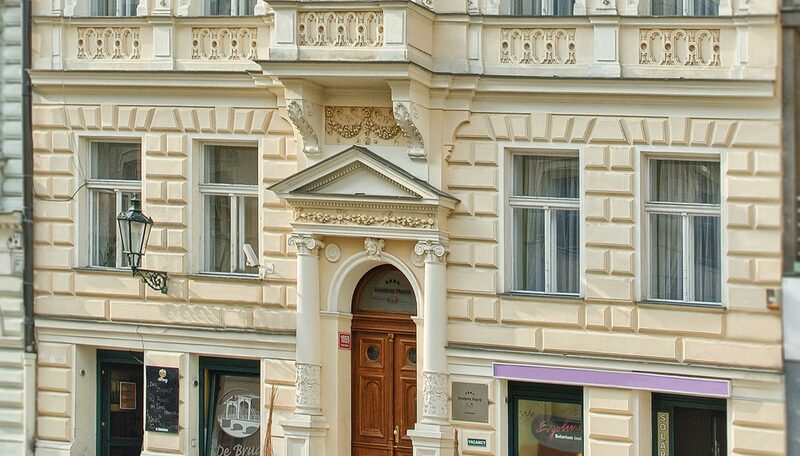 It is only a ten minute stroll away from the Charles Bridge and 3 minutes from the Jewish Quarter.